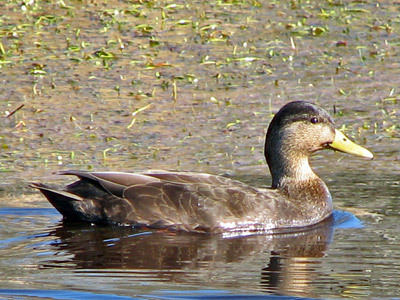 The American black duck is one of the few ducks that reside in the Chesapeake Bay all year. 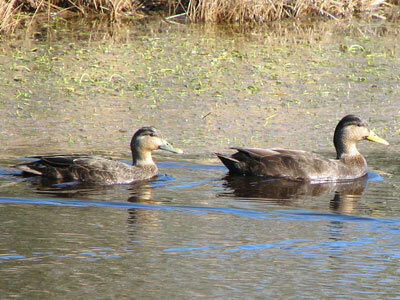 During the cold season, migratory black ducks join resident birds on the estuary. Black ducks prefer salt marshes, brackish rivers and creeks, and shallow lagoons. They are often found together with mallards, pintails, and other dabbling ducks, foraging on submerged aquatic vegetation. 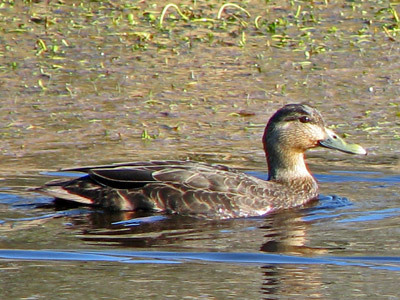 Black ducks are darker and larger, but otherwise to similar in appearance to other dabbling ducks.